Please send me an email: lavenderandlimeblog (AT) gmail (DOT) com with your submission – just a link to the post will do, and cc it to: ruth (at) 4everykitchen (dot) com by Thursday February 9. 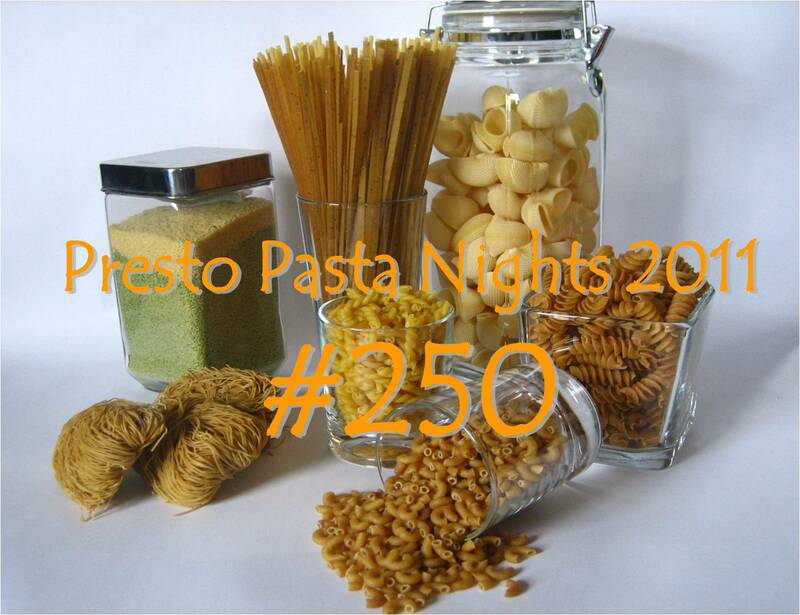 Thanks again for hosting Presto Pasta Nights this week. Congratulations on the nomination! I’ve already added my vote – fingers crossed! At my gym they also recommend eating pasta only one night per week. I am going to have to adapt! Ah, pasta, one of my favourites, more than potatoes! Voted for you and keep my fingers crossed!